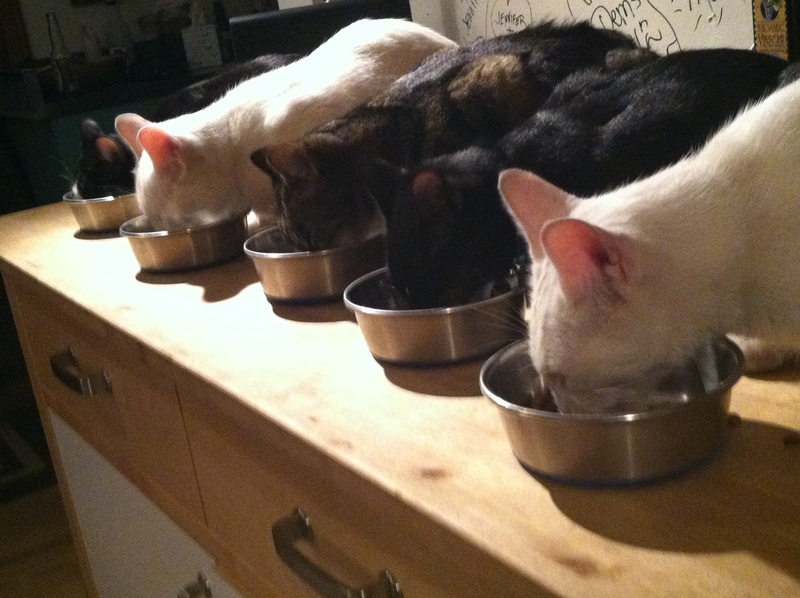 One of the most meaningful times in my day is the early morning feeding ritual. It starts about 6:00 a.m. here with the line up of cats. Then after I cook and pack up breakfast and lunch for my husband to take to work I gather up all the veggie scraps and by 6:30 I head to the barn to feed all my babies. The first stop is almost always then pen that houses Theo and Clem (a bonded bunny pair) and they live with my very old (12) chicken Ripple. I feed them carrot ends, lettuces and whatever I have accumulated and I always make sure that Ripple gets her abundance of blueberries. Then onward to the next pen where Albert Einstein and Chinch (another bonded bunny pair) live with Olivia a guinea pig and Stella a cockatiel. I feed them the rest of the crunchy veggie medley and head over to let the chickens out of the night coop. Our chickens are primarily free to roam the property, however if I am low on eggs I sometimes keep them in an enclosed yard with access to the lay boxes so that I can fill up my egg crate! The chickens love lettuces, spinach, blueberries, carrots……. well come to think of it they love just about anything but stink bugs and prickly caterpillars. After the initial fresh veggie feeding I usual make sure they all have fresh water, hay and pellets or seed and then I head back to the house to feed the dogs who have been romping and having a great morning play session. Each morning the animals have trained me to proceed exactly like that and if I feed the dogs out of sequence, they don’t eat their food until after we get back from the barn feedings! Its a thing I love to do even when its pouring outside, we all vibe together, we are one big tribe. 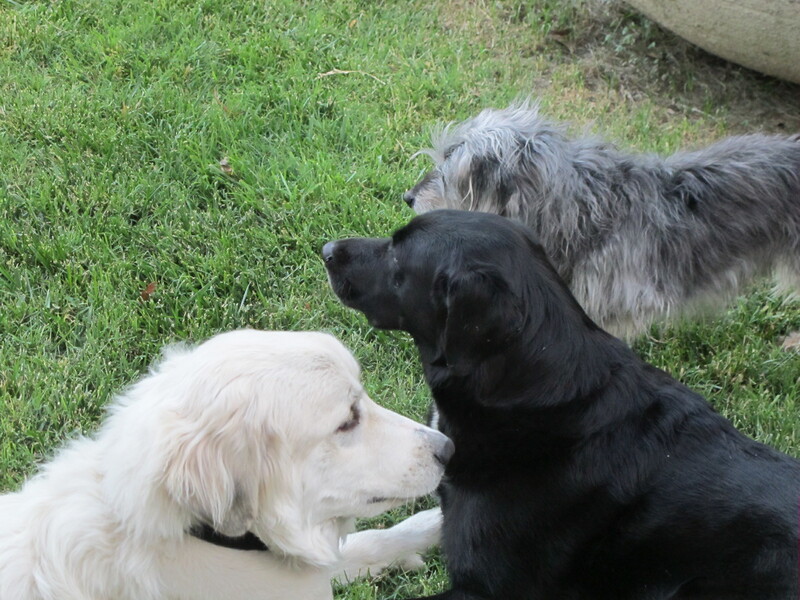 So interesting what you say about your dogs and routine. We have a 9 month old rescue pup and she is already expectant about what will go on each day. Even though my days are rarely similar, she prefers that hers be. 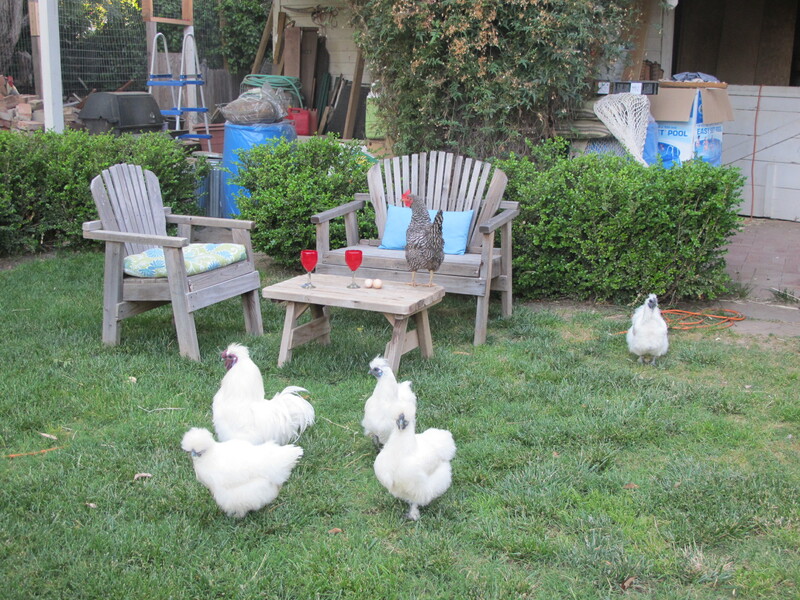 Also, I am considering taking the leap to chickens – but we only have an acre or so – I’d like them to roam as your do. What is the poop factor? Will the yard then be unusable for soccer/ running/kids? Hello There. I found your weblog the use of msn. This is a very well weittrn article. I will make sure to bookmark it and come back to learn more of your helpful information. Thanks for the post. I will definitely comeback. Hi Robert thank you for the kind words. More to come since I am raising a new batch of chickens this summer! Hey Jodie my farm is less than an acre and space is not an issue here. They need a predator proof night time coop with a fenced in chicken yard so if you choose not to have them free range all the time they have their space. Also until you know how well you dog will be this will often save them from becoming dog toys or food depending on what your dogs preference is! The learning curve for dogs can often be painful. As far as poop goes, yup there is that but the benefit is the organic free range eggs. I know what I feed my girls and love that my eggs are truly organic without antibiotics and that I have happy hens. Whatever you choose to do I vote to have chickens. They are quite personable, love to garden with you and if your kids like to dig for worms they will become fast friends with the little chickies. One last thing don’t go for the day old chicks from those mail order hatcheries, they are often sick and the mortality rate is pretty darn high, find some 5 – 6 month olds ready to lay you will reap the benefits of having chickens quickly! Good luck and summer is a great time to start. What about the cost of feeding the cheincks will they produce more than what it cost to feed them ? I think if your grain feeding them it cost more to feed them than what they produce than if you were to go buy the eggs at the store. Unless, you can supplement their food with your own food scraps. The spring can bring a lot of animals that would like to kill off your cheincks due to the chicks are running around. I think that more info on ways about setting up a protective areas would be good maybe worm casting could help with feeding the cheincks I’m not sure I just remember it cost me more to feed and protect my cheincks,turkeys ,ducks,phesants, and guines than it did to just run to the store and buy the eggs. And, eventually I lost them all to Mink ,raccoons, snakes and other animals. To feed them with out feed you can’t keep them cooped up. I also had a large garden to help feed them in the summer I might add but I didn’t have a root cellar to store items in maybe if I would of had one I could of had more food stored for the winter months to feed them instead of useing grain. I know some of you know how to deal with these problems but others might experince the same problems I faced. Hey Christine we have our share of predators here too mostly racoons and opossums. It is really important to have a predator proof night time coop to lock them in. We have learned through experience and have become pros with building enclosures that are safe. I use only organic feeds for all my animals since it has been proven that on a cellular level the toxins from the non organic food changes your birds. I wouldn’t want to eat eggs from chickens that were fed GMO corn and pesticide laden ingredients since I will be eating them. So, yes it is expensive and for me it is not about that, its about raising healthy happy birds for their wonderful healthy eggs, and also for giving these chickens a life that is truly good and to be able to run and play and sunbathe, dig holes etc. Thanks for your input about safety do you have any pictures of your old coop to share?